While we live in a different time, the justifiable anger felt by millions of people around the country will be evident today. This was meant to be Britain's freedom day. Enshrined in law, 11pm was supposed to be the hour we left the European Union ending the rule of an unelected unaccountable bureaucracy, an affront to democracy. 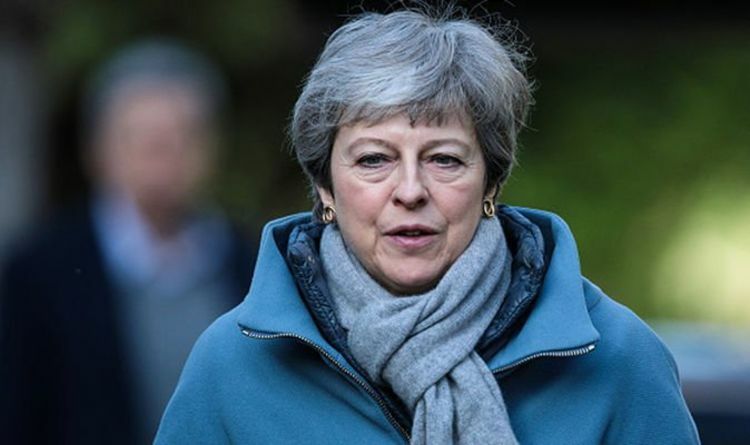 Prime Minister Theresa May, who has done her best to ensure Brexit happens, promised no less than 108 times that Britain would leave the EU on March 29. Yet instead of a day of liberation and celebration, Britain and 17.4 million people who voted Leave in the greatest democratic exercise in this country's history still find themselves under Brussels' rule and there seems to be no end in sight. It is an indictment of the Mother of Parliaments and the MPs we have elected to enact the will of the British people that they have failed to deliver Brexit. The farce of the indicative votes earlier this week where MPs rejected all eight Brexit options, none of which people in Britain had voted for, underlined how bad things have got. Last night's fiasco in the Commons as MPs argued over whether they should sit today and vote on the withdrawal agreement was mind-boggling and a humiliation for our country. Quite rightly a fed-up nation is telling MPs "a plague on all your houses". As things stand this morning our exit date is April 12. It may end up being May 22 later today but we can have no confidence that this Remainer Parliament and its self-indulgent Speaker John Bercow will allow Brexit to happen. Most likely Britain is heading to a long extension.A true betrayal of the vote 1,009 days ago. This has to end.The will of the British people needs to be enacted and we must leave deal or no deal or trust in democracy will be destroyed for a generation. AT THE age of 92 and after almost 66 years on the throne, it is wonderful to see the Queen still performing public duties and providing inspiration for young people at the music department in King's Bruton, in the school named after her. Her interaction with stable lads and lasses at Manor Farm Stables shows her human touch. At a time when politicians have forfeited their trust, we can be thankful we have a head of state who is widely loved.